Luxturna EU approval for inherited retinal disease : Pennsylvania-based Spark Therapeutics has bagged the European Commission’s (EC) approval for its gene therapy Luxturna (voretigene neparvovec) to treat a rare inherited type of vision loss in both children and adults. Luxturna, an adeno-associated viral (AAV) vector gene therapy has been indicated to be given as a one-time gene therapy in patients with biallelic RPE65 mutation-associated inherited retinal dystrophy. Luxturna EU approval is for such patients who have enough viable retinal cells and is applicable in all the 28 member states and also Norway, Iceland and Liechtenstein. 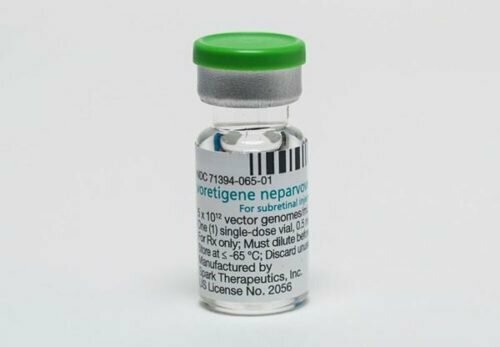 It can be recalled that the Spark Therapeutics gene therapy bagged approval from the US FDA in December 2017 for the same indication. Luxturna FDA approval can be read here. In January 2018, Swiss pharma giant Novartis acquired the ex-US licensing rights for Luxturna for $170 million under which it will market the gene therapy in Europe and rest of the world. Spark Therapeutics announces Luxturna EU approval for inherited retinal disease. Photo courtesy of Spark Therapeutics, Inc. Commenting on Luxturna EU approval for inherited retinal disease, Paul Hudson – CEO of Novartis Pharmaceuticals said: “EU approval of the one-time gene therapy Luxturna marks a milestone in reimagining medicine and can bring real value to patients, their families and society as a whole. Luxturna EU approval for inherited retinal disease means that it is now the first gene therapy to be approved in the US and EU. It is also the first and only gene therapy to get an EU approval for patients suffering from an inherited retinal disease. Luxturna EU approval was driven by the positive opinion taken by the European Medicines Agency’s Committee for Medicinal Products for Human Use in September. Overall, the approval of the Spark Therapeutics gene therapy came on the basis of the findings of three clinical trials that featured a total of 43 patients with inherited retinal disease. It included a phase 1 trial, a follow-up clinical trial of that and a phase 3 clinical trial. Luxturna mechanism of action is by the release of viral vector particles having the correct version of the RP65 gene to retinal cells. Owing to this, the gene therapy aids in restoring the ability of the retinal cells to generate the deficient enzyme.